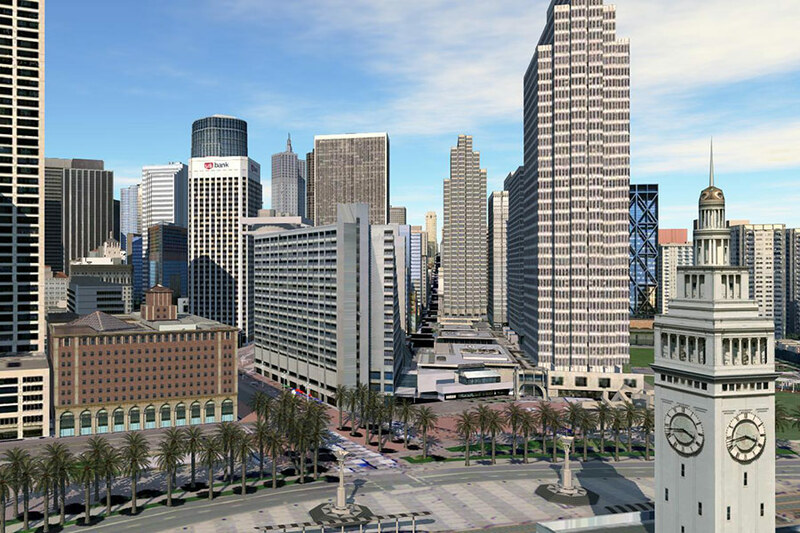 A simulation video game can become a powerful innovation lab for new urban technologies, where researchers can test-drive every outlandish “what-if?” in a controlled environment. 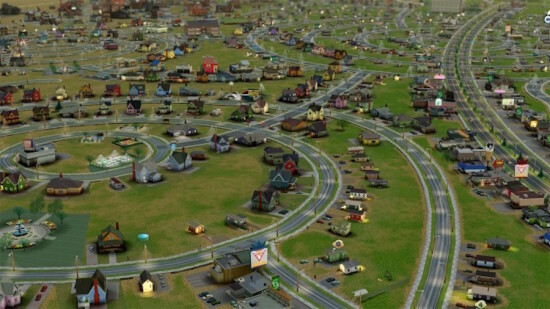 The Center for Innovation, Technology and Evaluation is launching a full-scale SimCity—a small, fully functioning ghost town equipped with the technology touted by futurists as the next generation of smart cities. Resembling a modest American town with a population of 35,000 spread over 15 miles, the virtual metropolis is sited on a desolate stretch of land in southern New Mexico. Set to be wired with mock-up utilities and telecommunications systems as realistically as possible, the quintessentially mediocre town will even have a gas station, big box store, and a simulated interstate highway alongside its tall office buildings, parks, houses and churches. The town will also be sectioned into urban, rural and suburban zones. From nuclear war to natural disasters to a stock market crash or a triple whammy of all three, the ho-hum hypothetical town will soon play host to driverless cars and packages delivered by drones, alternative energy power generation and never-before-tested public monitoring, security and computer systems. The goal of CITE is to provide the opportunity to test large-scale technology experimentations in real-world conditions “without anyone getting hurt,” said Bob Brumley, managing director of Pegasus Global Holdings, the Washington state-based technology development firm behind the concept. Brumley estimates that support infrastructure, including electric plants and telecommunications, will take 24 months to create, while the city will be fully built between 2018 and 2020. 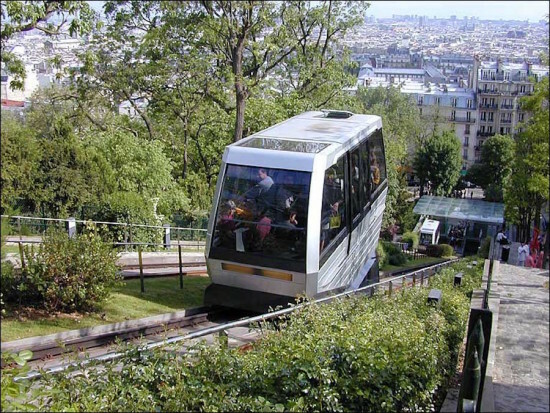 The uninhabited virtual city affords possibilities to test otherwise non-starter ideas hampered by safety and feasibility concerns in the real world, where human beings are the most fickle of variables. “It will be a true laboratory without complication and safety issues associated with residents. Here you can break things and run into things and get used to how they work before taking them out into the market,” Brumley told Wired. One of numerous experiments he envisions involves deploying a fleet of driverless freight trucks controlled by a centralized wireless network. Testing on a real freeway, on the other hand, would be too hazardous. Other ideas range from simple practicalities—having small drones drop off packages on doorsteps—to cataclysm readiness—simulating, a large-scale, real-time attack on energy, telecommunications and traffic systems, or the effect of a “massive electromagnetic pulse attack on all the integrated circuits in our economy.” Brumley estimates an initial investment of $550–600 million in direct investment, with an estimated total cost of $1 billion over the next five years as the city grows in size and complexity. We can only hope that their servers don’t crash. Self-contained, prefabricated, and already an architectural craze, shipping containers could be the key to cost-efficient franchising. 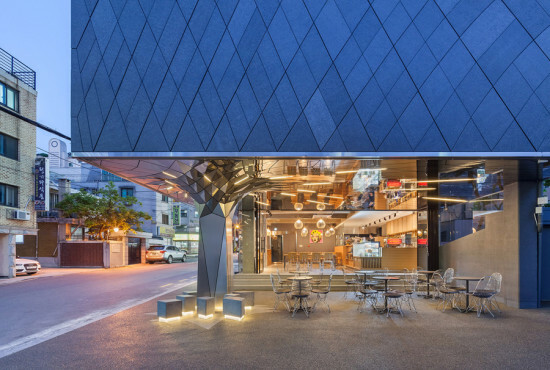 SG Blocks has partnered with Farm Stores, the nation’s largest drive-thru chain, to design and engineer a prototype for fast-assembling new Farm Stores. Based in New York, the firm works with architects, builders, and developers to build sturdy, environmentally-friendly multipurpose spaces from code-engineered shipping containers. Their mobile solutions dovetail especially well with F&B and retail companies, such as the Colorado ski-slope showroom which the firm built for Mini Cooper and the LACOSTE L!ve mobile retail solution, which can expand from 160 to 480 square feet. The Farm Store will be an energy-efficient, 640-foot drive-thru store, which like all other Farm Store outlets, combines a drive-thru grocery store, bakery and quick-service restaurant. 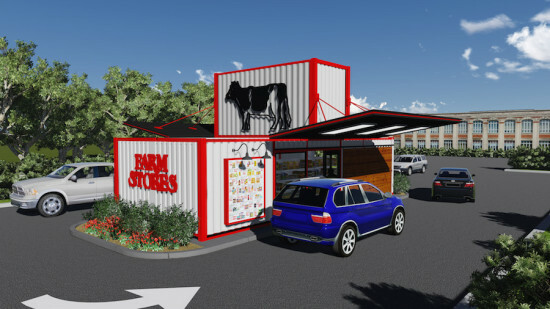 “These stores will be efficiently designed as fully modular prefabricated units to aid franchises in a rapid site activation, helping more easily establish Farm Store locations in new neighborhoods,” said Paul Galvin, Chairman and CEO of SG Blocks. “Faster store completion” and “quicker return on investment” are two key benefits to building these franchise stores with shipping containers, according to Farm Store Chief Operating Officer, Maurice Bared. Self-contained and non-combustible, shipping containers come in standard lengths of 20 feet and 40 feet. They measure eight feet wide universally and are thus invariably stackable. A section through 300 Lafayette, a new office building by COOKFOX. In recent years, sustainability has become one of the most prominent motivators of architectural design. Rarely is a project unveiled without a corresponding press release touting a green roof, photovoltaic array, or an expected LEED ranking. While such headline-grabbing green building features are important, New York City–based architecture practice COOKFOX believes that sustainability should go beyond reducing the energy footprint. The firm has been incorporating principles of biophilic design into its projects in order to produce buildings that treat human beings as an integral part of a natural ecosystem. AN’s Henry Melcher recently spoke with COOKFOX Senior Associate Pam Campbell about what biophilic design is and how her firm is incorporating it into its architecture. Henry Melcher: So what is Biophilic Design? 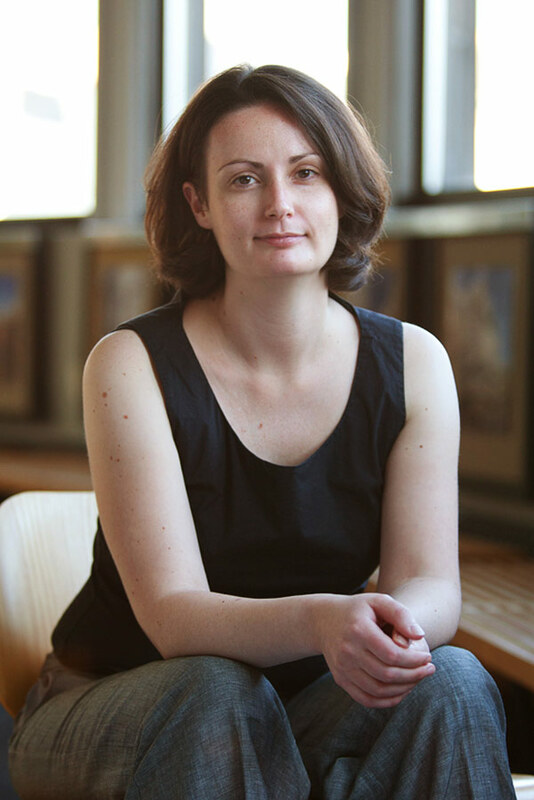 Pam Campbell: The term was initially coined by a social psychologist back in the 1960s called Erich Fromm, but it is generally attributed to E.O. Wilson, who wrote the Biophilia Hypothesis in the 80s, which was a body of research that has developed ever since and really explains that we as human beings have this connection to nature, and that because we developed in a natural setting we have these psychological and physical reactions to natural landscapes and materials. There has been a lot of research showing how different natural phenomenon within the interior environment contribute to the performance of children in schools and people in the workplace—how healthy they are, how attentive they are, how much they can focus on a certain task. The thinking is that because of the nature of human beings, we feel at home in natural landscapes so we really need to reestablish that connection—and that is where architecture comes into it. We have this ability as designers to create spaces that can work to reengage people with the natural landscape and the health benefits that go along with that. Whether it’s views out to a natural landscape or bringing plantings into an interior, we call that “nature in the space.” And then there is something called “nature of the space” and that might not have anything to do with looking at vegetation, but creating spaces that mimic natural settings in which humans thrived and felt most comfortable in the way we developed over time. There is also something called “prospect and refuge theory.” If you think about humans in the natural landscape way back when, when they could see into the distance to a predator or some danger coming, they would be in a place of prospect, but also in a place where they have some refuge. When you have this combination of prospect and refuge, it has this visceral reaction of how we feel within that space. And there is “risk and peril.” Our bodies react pretty well to short-term stresses—they keep us more alert, raise our heart rate and hormone levels—and as long as that is not a permanent state, that has some physical benefits to us. So places where you can see over a balustrade, or be in a place where some sort of risk is involved, it can be a good thing as long as there is a safe place within the space. The other category is “natural analogues”—when you actually have a tree or something in your space. There are other patterns and materials that we can bring into the design that can start to have the same beneficial responses: the grain of a natural wood as opposed to a piece of plastic. Live Work Home, Syracuse, New York, COOKFOX. 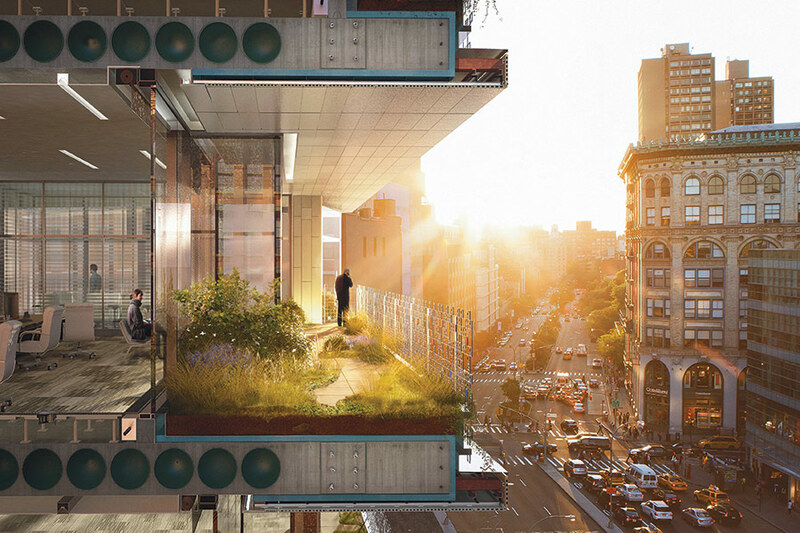 What are the challenges of using biophilic design in New York City where so many buildings are sealed and climate-controlled? It is definitely a challenge. When we get the rare opportunity to design a building in an actual landscape, it can do so much for you in terms of general sustainability. But when you are in the city, you have to do so much more because we are in an environment that is 90 percent buildings, as opposed to 90 percent natural. There is always that delicate balance between daylight and energy savings. Obviously the glazing technologies are getting better and better; we can now afford to have windows that have a significant amount of glazing without killing the energy budget in terms of cooling and heating costs. Window sizing is really kind of an art form. Some spaces are great to have floor-to-ceiling glazing, but there are a lot of environments where that is not appropriate—it is too much peril, it doesn’t make people feel relaxed and enclosed. So getting the right balance of opaque, solid exterior walls to glazing is probably one of the major things we can do to create a comfortable environment on the interior. Biophilic design really comes into play when we are talking about the shape of the space, the materials we use, and the views outside. In terms of trying to create natural environments in the city, it is a challenge and what we’ve tried to do with our projects is to create many terrace spaces and outdoor spaces so people can still view, at least in the foreground, some natural landscapes. And then obviously creating spaces that aren’t so hermetically sealed where people can view the sky, the changing weather, and different light patterns coming into the space. Not just having good daylighting, but having that pattern change how it impacts the space during the day—it can keep people more alert. At Live Work Home up in Syracuse we had a particular challenge because Syracuse gets half the amount of natural daylight as the rest of the country. It is a particularly gray place. So we created this screen around the house that was perforated and had a pattern that we digitized from a photograph of daylight coming through a tree canopy. With that randomized pattern we were trying to mimic how you might feel if you were walking through a forest. That screen allows daylight to filter into the building in different ways. On the north side, we painted the interior face of the screen with a reflective white coating so the sun from the south would reflect off that in a pattern and bounce back onto the porch area as well. Is biophilic design a selling point? Do developers and prospective buyers want these strategies incorporated into buildings? I think from the developers’ standpoint, for residential, certainly; everyone is interested in outdoor terraces and we are trying to explain why it is a good thing beyond just a marketing tool. Even if people don’t understand the science behind [biophilic design], they get the fact that, yes, looking out of your living room onto an area of plantings and trees that is changing with the seasons is better than looking across the street at another building. People naturally understand that even if they can’t put it into words. In terms of biophilic design, people do feel healthier when they are looking at a natural landscape, so I think that is pretty well understood and has been for a long time. Architects always talk about blending the indoor and the outside. How many times have you heard that? It is something that we have all understood, and I think we are in a better position now because there’s actually some real hard data behind it. That body of knowledge lets us control it more instead of just randomly putting some planting outside on a terrace. We can really enhance the design of that by understanding that it should be changing, it should be moving, there should be taller parts and smaller parts, there should be areas where you feel protected and areas where you see over. There are a lot of biophilic and sustainable design practices incorporated into One Bryant Park, which is LEED Platinum, but then a [New York City benchmarking] report comes out and says the building is using twice the amount of energy as the Empire State Building. So what are the tangible benefits of using these types of designs? For Bryant Park there is a difference between energy that is generated on-site versus energy that is generated remotely. The thing is it is a bank of trading floors at the end of the day, so it has one of the most intense energy usages of any building type that can exist in the city; but a lot of that energy is produced on-site. About 75 percent of the power that is produced by power plants actually gets lost through the transmission of that power to a building. When you’re producing that on-site, that loss doesn’t exist anymore. So in terms of the overall energy use and pollution, those things have to be factored in and rarely are. It’s normally just some numbers that are coming up in a meter and it is not taking into consideration the building type and also where that power is coming from. Where we really caught the interest of the bank and the developer—this was a joint venture between Bank of America and The Durst Organization—was when we started talking about employee retention. When you employ somebody there is a certain amount of startup time where they are being pretty inefficient, and when you lose somebody and somebody new starts, there is obviously a huge financial cost there. So creating spaces that people want to be in, where they do have access to daylight and they do feel better, it helps with employee retention and also reduces sick days. In terms of the air that is getting delivered to the space, it is at a higher filtration. The outdoor air in the city obviously isn’t that great, so if we can filter that air to high levels we can reduce the amount of respiratory problems and other reasons why people may end up taking sick days. Employee retention and creating healthy workspaces is a huge tool that we have in our toolbox. Where do you think these technologies and tools will take things in the future? I think biophilic design is something that people are going to start employing more. We are never going to tear down a city and build a forest again so we have to start employing more educated techniques of bringing back the actual environment in such way that we can cohabit with it. That is something that has to get pushed forward. There are more and more children being brought up in the city and they have less and less ability to really understand what nature is; they tend to come across it in a very condensed, small environment. How do we expect future generations to care about the environment if they don’t even understand what it is? Chicago's biggest buildings cut their energy use 13 to 23 percent since a new city program to publicize consumption data went into effect, according to a city report released Tuesday. That translates into an average savings of up to $200,000 per building per year, the report said. You can read the full report on the City of Chicago's website. In 2013 City Council passed a Building Energy Use Benchmarking ordinance requiring non-industrial buildings larger than 50,000 square feet to report their energy usage. That's less than one percent of Chicago’s buildings—about 3,500 in all—but an energy-hungry cohort that the city said accounts for 22 percent of all energy use by buildings. The move was praised by sustainability advocates but criticized by the Building Owners and Managers Association of Chicago, which doesn't want such data made public. Chicago Mayor Rahm Emanuel has called the program an important of the city's wider sustainability initiative. Buildings account for 71 percent of the city's greenhouse gas emissions, according to 2010 data. 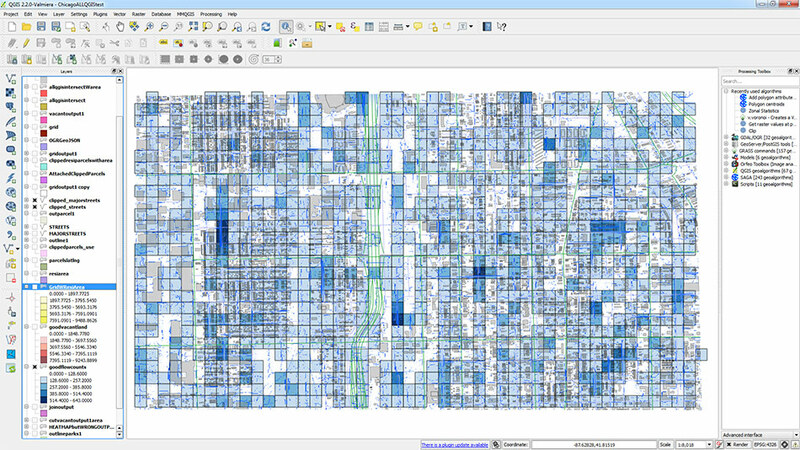 In 2014, 348 buildings spanning 260 million square feet reported data to the city. “Building size or age appears to have little effect on energy intensity,” reads the report, “but building space use is a primary driver of energy intensity,” or energy use per square foot. Office space made up 60 percent of all greenhouse gas emissions. 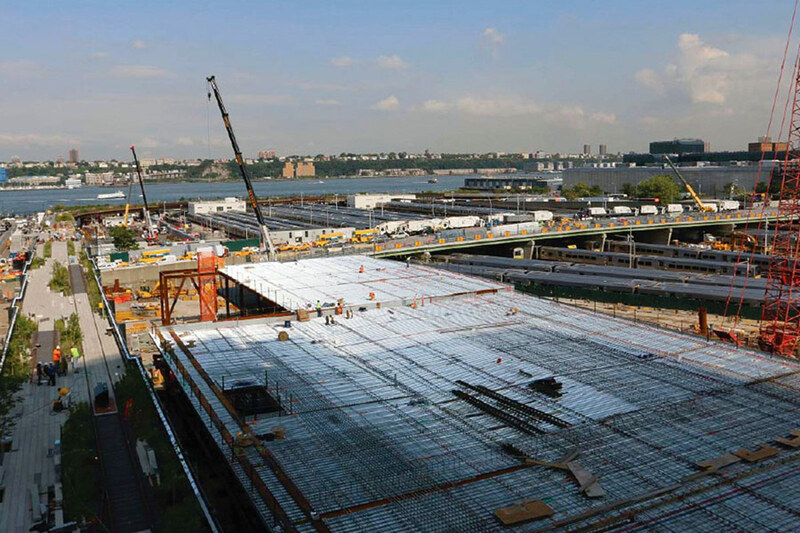 As the program moves forward, more buildings fall under its reporting requirements. Commercial and municipal buildings larger than 50,000 square feet and residential buildings larger than 250,000 square feet must report their data by June 1. Buildings that joined the program last year need only benchmark and report in 2015. Every third year they need to have the city verify that data. Deadlines for additional buildings covered by the ordinance will phase in through 2016. 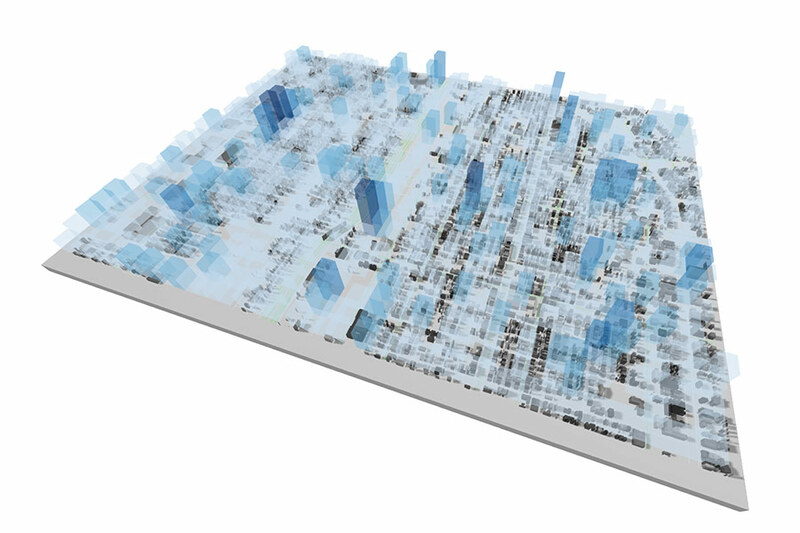 Architects and Planners across the country are harnessing the potential of Big Data to build information-laden city-scale models. By gathering and synthesizing such factors as traffic, energy usage, water flows, and air quality, the urban design field is hoping to layout smarter, more efficient, and more resilient forms of development. John Gendall logs on to find out more. Scan the bookshelf of any urban designer or planner who graduated after 1980, and you will very likely spot a copy of The Social Life of Small Urban Spaces, by William H. Whyte, the journalist and consultant to the New York City Planning Commission who advocated a new, more empirical way of making urban areas. Cities, he reasoned, ought to be studied with the eyes of a scientist, subjected to a sort of post-occupancy analysis providing quantitative insight into just how urban spaces performed. While his approach now has so much currency as to seem obvious, his technique comes off as quaintly primitive. Through the 1970s, equipped with a camera, pen, clipboard, reams of paper, and several research assistants, Whyte would ensconce himself in public areas for weeks and months on end to painstakingly document figures like use, traffic, and interactions, culminating in his 1980 publication. Thirty-five years later, cities around the world are carrying out extensive performance analyses, but rather than relying on an intrepid clipboard-toting individual, they are turning to another source: Big Data. 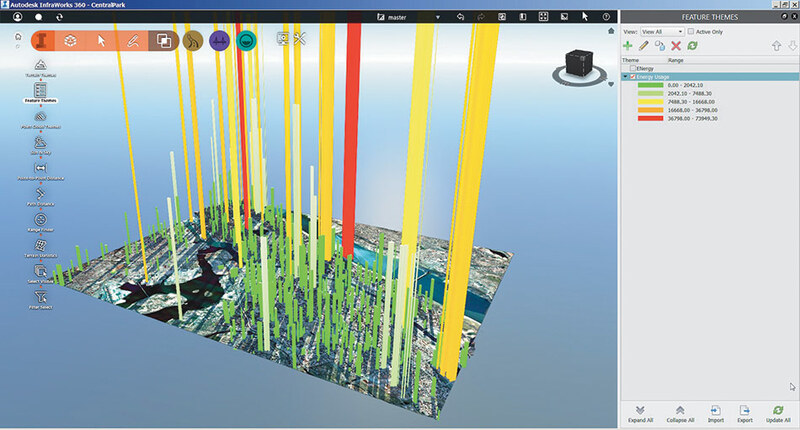 Having reshaped other industries—finance, public health, manufacturing, and, with Building Information Modeling, architecture—the wheels of Big Data are increasingly being set on cities. With that comes access to immense and complex sets of information that city planners and urban designers can now harness to make cities perform better. Applications abound: traffic can be made to move quicker, energy consumption can be brought down, view corridors preserved, and all of this can happen while budgets get trimmed. The “big” in Big Data refers not just to volume (even though there are unprecedented amounts of information churning in its orbit); it also refers to the number of different data sets. 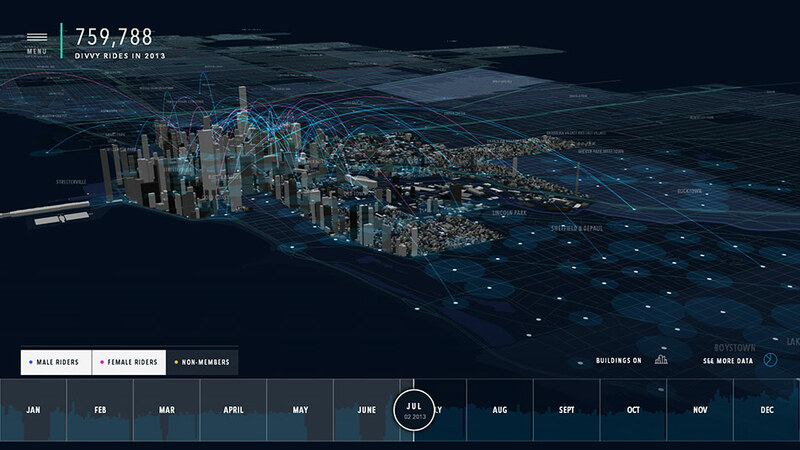 “We think of Big Data as a degree of complexity, not simply volume,” said Matthew Shaxted, a computational designer at SOM City Design Practice.” This makes it particularly well suited to sort through webs of changing interdependencies, or, put another way, through cities. Chicago: City of Big Data, an exhibition currently on view at the Chicago Architecture Foundation, examines the interaction between digital and physical infrastructure in the Windy City and beyond. 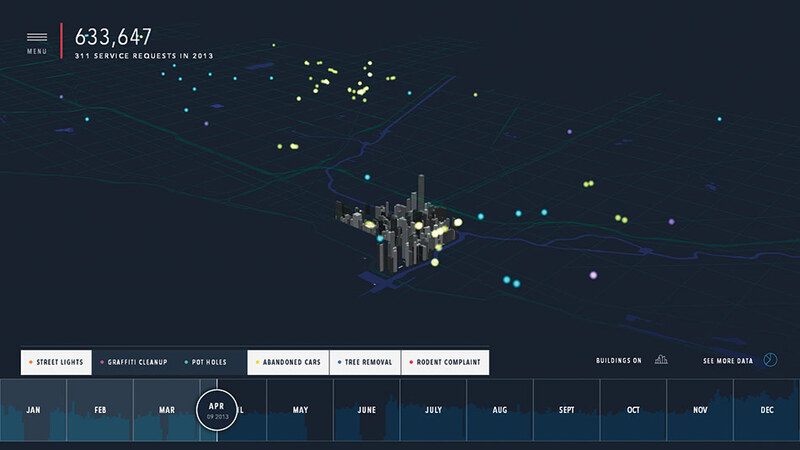 Large-scale data visualizations show, for example, the number and location of tweets sent—clustered in the LOOP—the number and distance of Divvy bike-share rides—downtown to the neighborhoods—and the frequency and location of 311 calls, many of which come from higher crime, outlying areas. 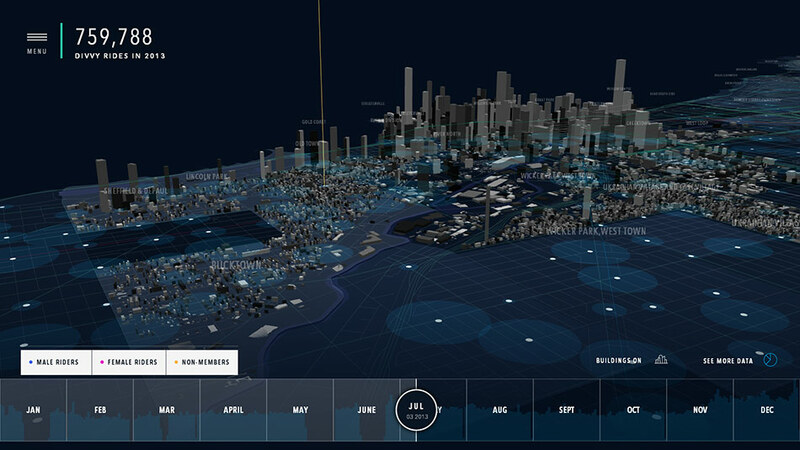 Curators worked with IBM and SOM Chicago to interpret the data and develop the visualizations, making the virtual and lived realities of Chicagoans legible to the public in a new way. Because it synthesizes complex information, these data-laden visualizations can have a clarifying effect on project coordination. As Mezher explained, “with infrastructure jobs, it’s not just one client making the decisions. It’s sometimes five or ten stakeholders—cities, counties, agencies—so any decision needs to go through many different layers.” For its work on the State Route 99 tunnel, in Seattle, Parsons Brinckerhoff built eight different models within the city context, comparing eight different scenarios that involved underground utilities, all underground facilities, alignments, and an environmental impact statement. 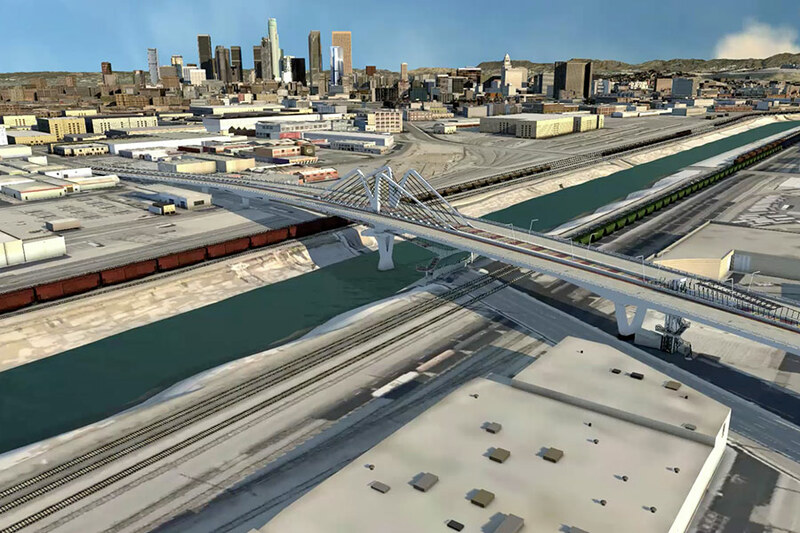 InfraWorks, a new data software for infrastructure developed by Autodesk, is modeled on BIM, but uses “horizontal” information, including traffic patterns—which is richer information than just vehicle counts—noise volumes, construction schedules, and pollution emissions. Multiple government agencies can access the information to coordinate work, and advocates and neighborhood groups can track potential impacts on affected communities. This information can be used to model how design changes—to highways, tunnels, rail lines, etc.—can shape outcomes before construction begins. Long the very apotheosis of permanence, modern cities have come to be made at something of a generational pace, with major works grinding their way through approval and construction (with fingers crossed for their effectiveness). Now, as their flows of information become better understood, cities seem to be moving toward something more fluid, where projects can be tailored for maximum efficiency, and where they can be tweaked and adjusted in light of changing conditions. Consider Hudson Yards. 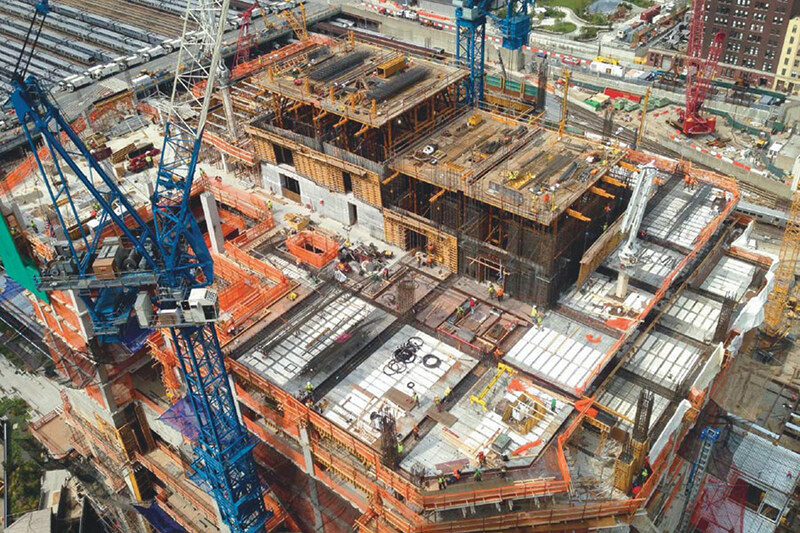 Earlier this year, Related Companies and Oxford Properties, the developers of the over $20-billion Manhattan development, announced a partnership with New York University’s Center for Urban Science and Progress (CUSP) to make Hudson Yards what they called “the nation’s first ‘quantified community.’” Working with CUSP, the developers will gauge metrics like pedestrian flows, air quality, energy usage, and waste disposal. As Related president Jay Cross said in a statement, “we will harness big data to continually innovate, optimize and enhance the employee, resident, and visitor experience.” Seen in another way, CUSP will be doing the work of William H. Whyte, but on a scale unimaginable to the 20th century observationist. Private developers are also getting into the data game. 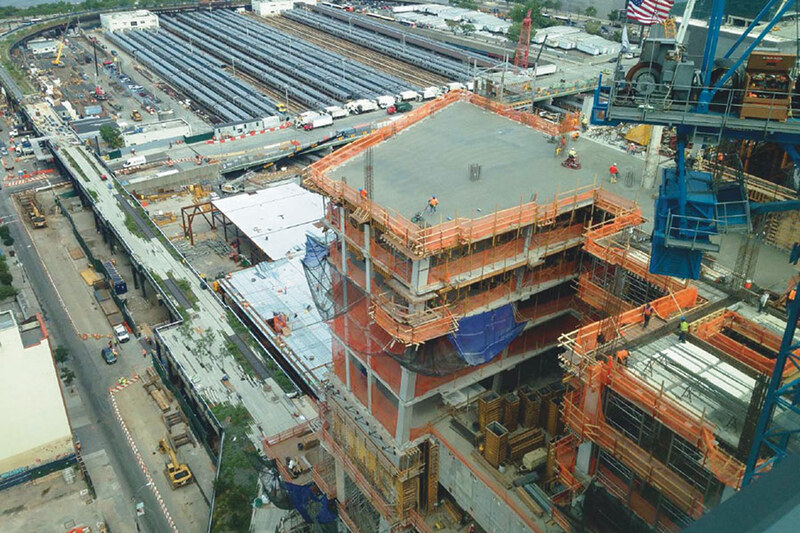 At Hudson Yards, a vast new neighborhood now under construction on Manhattan’s far West Side, developers Related Companies and Oxford properties have teamed with New York University’s Center for Urban Science and Progress (CUSP) to make the neighborhood the most connected and analyzed in the city. Pedestrian and transit flows will be measured, along with retail traffic and dollars spent—serving both public and commercial interests. Energy, solid waste, and water benchmarking will also be instituted to improve environmental performance and cut costs for the building owners. Residents and area employees will also be able to opt-in to health monitoring applications, which will help demonstrate the beneficial aspects of living and working in this new urban district. Placed in William H. Whyte’s timeline, the use of Big Data in urbanism would be somewhere in the mid-1970s. Hypotheses have been made, tools developed, observations made, and trials run, but it is still an emerging field. Recognized as experts in the field, SOM Chicago’s City Design Practice has been asked to help solve one of the Windy City’s chronic problems: basement and street flooding and sewage overflows. 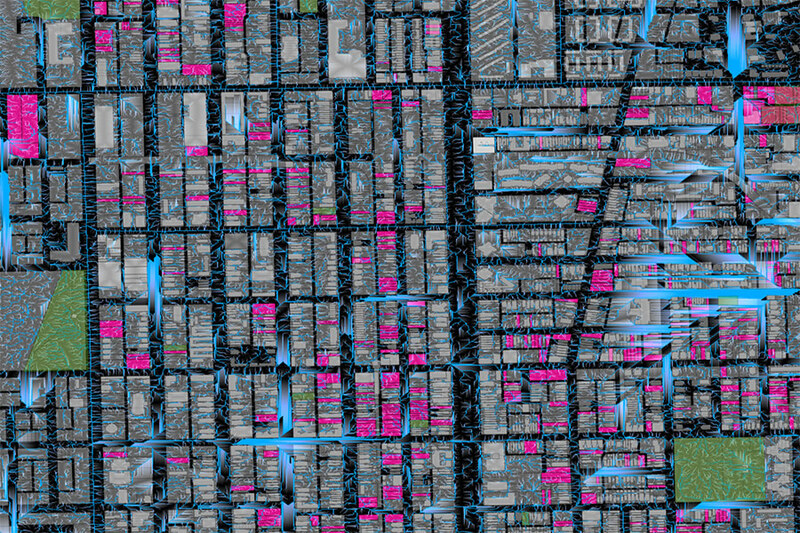 Working with the University of Chicago and the Department of City Planning and Development, the urban design team developed detailed analysis of open space, impermeable surfaces, and water flows. The data will be used to precisely target green and grey infrastructure interventions to maximize their impacts and minimize capital costs. The project shows how the deployment of Big Data projects, a relatively new field and practice, is already being used to address real world challenges. SOM Chicago previously used similar analysis in the Chicago Lakeside Master Plan, the plan for a massive new neighborhood on Chicago’s South Side, where stormwater will be managed on site. 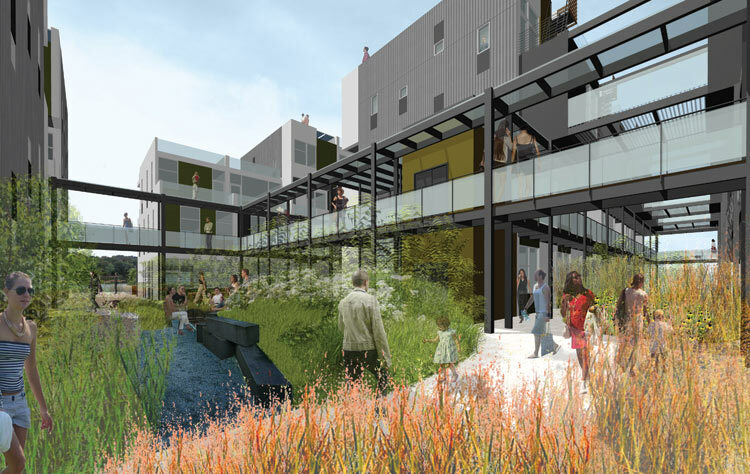 Projects like The Ridge, which is set to become the nation's largest Passive House, could become more common as the world's architects move toward net-zero construction. UIA represents 1.3 million architects from 124 countries, so it’s no offhand declaration. It’s also not the first such mission statement. Architecture 2030 issued the 2030 challenge to radically green the building sector in 2006. The American Institute of Architects quickly took up that charge, as did the U.S. Green Building Council, the U.S. Conference of Mayors, and the Congress for the New Urbanism, among others. Now as the supporting organization for UIA’s imperative, Architecture 2030 is joining the world’s architectural professional societies to “send a strong message” to the parties of the United Nations, who will meet in Paris next year to set a roadmap for reducing emissions. This is an important and necessary step, as the very name of the “imperative” implies—buildings consume 75 percent of all the electricity produced in the U.S. and are responsible for about half of all U.S. greenhouse gas emissions. But the design community has to hold itself accountable. A leaked copy of the latest report by the Intergovernmental Panel on Climate Change says “severe, pervasive, and irreversible impacts” are likely if swift action is not taken to curb the emission of heat-trapping greenhouse gases, chiefly carbon dioxide. But “strong messages,” however admirable and well-meaning, have not produced meaningful action in at least 20 years of international negotiations on the subject. Since the U.N. climate convention first recognized the urgency of the problem on an international scale in 1992, greenhouse gas emissions have risen 57 percent. We’re not even slowing down. In fact, we’re accelerating. Emissions grew more quickly between 2000 and 2010 than in each of the three previous decades. Much of that is due to industrialization in Asia, and urbanization is not slowing down. Over the next twenty years, it’s projected that an area roughly equal to 60 percent of today’s building stock will be built and rebuilt in the world’s urban areas. In other words, even if every one of the buildings built in the next two decades were twice as efficient as today’s average building, we’d still see a huge increase in building-related emissions. That’s not to say the building sector has been idle. The UIA’s imperative opens by recalling the 1993 Declaration of Interdependence for a Sustainable Future, made here in Chicago, which committed to “place environmental and social sustainability at the core of our practice and professional responsibilities.” Code improvements, energy benchmarking, and a healthy debate over sustainable design metrics (which AN explored in our June feature) are just some of the ways the field is making progress. And the UIA’s imperative includes broader initiatives like planning carbon-neutral cities, which is critical in developing nations where today’s building booms could either lock in catastrophic levels of carbon pollution or lay the groundwork for a climate recovery. But architects can’t do it alone. The upcoming IPCC report affirms something author and activist Bill McKibben once called “global warming’s terrifying new math”: fossil fuel companies and governments have found oil and gas reserves several times larger than the amount that scientists say we can burn without throwing the climate out of control. That’s a transformational challenge that transcends design and construction, as important as those industries are. Something about the UIA’s 2050 “imperative” itself encapsulates the angst of following the growing climate crisis today: it’s both affirming and frustrating to read. With no attempt to hide its toothlessness, it tacitly acknowledges the dizzying scope of the problem (made significantly wider by political dithering and dysfunction). And yet it’s a critical part of the solution. Time to build the rest is running out. The members of Chicago's Building Owners and Managers Association (BOMA) control nearly 80 percent of downtown Chicago's rentable building area. That makes them critical to local energy efficiency initiatives that aim to reduce the nearly 40 percent of U.S. energy that is consumed by buildings. 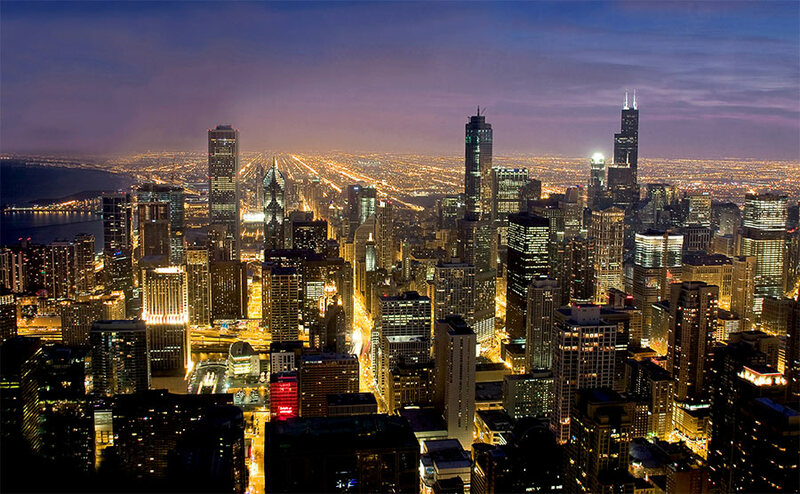 At a trade show Wednesday entitled "Building Chicago: Greening the Heartland," BOMA officials reported on progress from their smart grid initiative first announced in 2012. The plan, now wrapping up its test phase, would share energy data among BOMA members for the purpose of cutting energy use in many large buildings. BOMA initially fought—and still opposes—the city's energy benchmarking and disclosure ordinance that requires non-industrial buildings larger than 50,000 square feet to report their energy usage publicly. A BOMA spokeswoman said after the event that the group only opposes mandatory public disclosure of energy data, not its collection. Using smart meters from Chicago-based Automated Logic, BOMA has completed pilot testing on several downtown buildings. The “smart grid” refers to a responsive system for distributing and using electricity (and eventually other resources like gas and water) wherein utilities and consumers automatically share data that can be used to reduce the overall demand for power. Meters designed for BOMA measure energy data second-by-second and can be reviewed in real time, said Mike Munson of smart grid technology firm Metropolitan Energy, as opposed to typical meters from ComEd that usually measure at 30 minute intervals and whose reports can only be viewed monthly. For the owners and managers of buildings over one million square feet, utility bills can top $800,000 per year—often among the owner's highest expenses along with labor costs and property taxes. Still, said BOMA's T.J. Brookover, they are accepted as a fixed cost. "Very few times are we dissecting those bills, looking at them, and understanding how we're using energy,” said Brookover. BOMA is trying to encourage more of its members to sign up for the program, but officials admitted it “has been slow” to bring skeptical building owners and managers on board. Under the terms of the plan, they said, individual buildings only see their own data, but only BOMA sees all of it. "The city hopes to shame owners into investing in energy efficiency,” Brookover said of Chicago's benchmarking ordinance. On the contrary, he said, BOMA's plan emphasizes cost savings. Whether you pursue energy efficiency because you hope to slash hefty bills or limit the rising tide of climate change-causing greenhouse gas emissions, said BOMA Executive Vice President Michael Cornicelli, smart grid technology has a role to play. "We can all get what we want from a well-designed smart grid infrastructure and strategy,” he said. Spaulding Rehabilitation Hospital, Charlestown, MA. Peter Busby merged his Vancouver-based firm with Perkins + Will in 2004. He has since risen to managing director of the firm’s San Francisco office and launched its Sustainable Design Initiative, which embedded environmental design thinking throughout its practice worldwide. As founder of the Canada Green Building Council, he helped make LEED widespread in Canada. But he tells AN Midwest Editor Chris Bentley that the certification system’s future is uncertain. Instead, his focus is on climate resilience and performance. Chris Bentley: You created Perkins + Will’s (P+W) Sustainable Design Initiative. How do you corral the efforts of a huge firm like P+W around a massive topic like sustainable design? Care to share any advice for architects looking to do the same for their firms? Peter Busby: Our plans are published on our website, so anyone who wants to see what we’re doing can actually download the documents. I’ve actually been into competitors’ offices and seen our plans on their desks, so I know some people are doing that. We’re currently on our fourth overall plan. We feel that plans for greening a firm need to evolve over time, they need to be flexible. The core of the Sustainable Design Initiative is five pieces: research, education, communications, demonstration, and best practices, and obviously a marketing and awareness piece. The hardest work was the education. We’re now moving away from LEED-centric education and moving into other more specialized areas. We have task forces around material health, resilience, regenerative design, benchmarking. What’s the biggest challenge to keep that momentum going? The biggest challenge is education. First of all educating ourselves about sustainable design, understanding how to do it in every climate zone we work in. There’s no textbook on sustainable design—it’s a learned art. And then education of our clients, of approving authorities, and overcoming bureaucratic hurdles. Things like the requirement for potable water in toilets that exists in almost every jurisdiction in North America. The education requirement is constant, non-stop, all the time, everywhere. As sustainable design changes, continuing the education movement to move new ideas out into practice is an ongoing effort. It is very rewarding. There’s an argument that good design is by definition efficient. That designing for climatic and human needs is a given in this day and age. But we’re struggling to get greenhouse gas emissions under control in time to avert substantial warming. Are we doing enough to move the needle? We’re failing miserably! Although, McGraw Hill published data that seems to indicate 60 percent of construction in North America is in one level of LEED or another, it doesn’t seem to have had a measurable impact on the growth of carbon in the atmosphere, globally. If you look at carbon emissions in the U.S. specifically, they’ve plateaued and in fact are decreasing. We’re not sure if that’s because of the recession, the cheapness of natural gas, or whether it’s because of the offshoring of manufacturing. We like to think that the building sector has had an impact. It should have an impact. It must be making a difference, but then there’s no factual evidence related to that. Part of the problem is that 90 percent of the building stock at the end of a decade is still existing buildings. 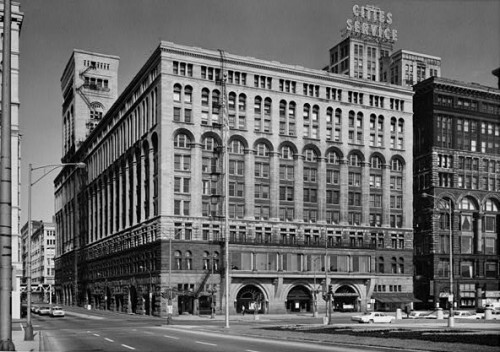 Replacing buildings is a 100-year enterprise. So it’s going to take decades to get better performance out of the existing building stock. Notwithstanding that, it seems tenants want better performance, and tenants drive landlords, so they’re starting to look at higher levels of performance. It used to be that landlords subscribed to everything BOMA (Building Owners and Managers Association) said. But now the big landlords and builders seem to have a great deal of interest in higher levels of performance. So there is traction. The most interesting thing that’s happening right now is that, for the last 10 years we’ve been pursuing certain goals that are around reduction of carbon emissions in buildings in the face of global warming. Today we know global warming’s here and we’ve seen the impacts of it on storm surges and so on. So now there’s two fronts to fight: one is to continue to reduce carbon in our buildings, and we’ve got to adapt and create resilience for buildings. 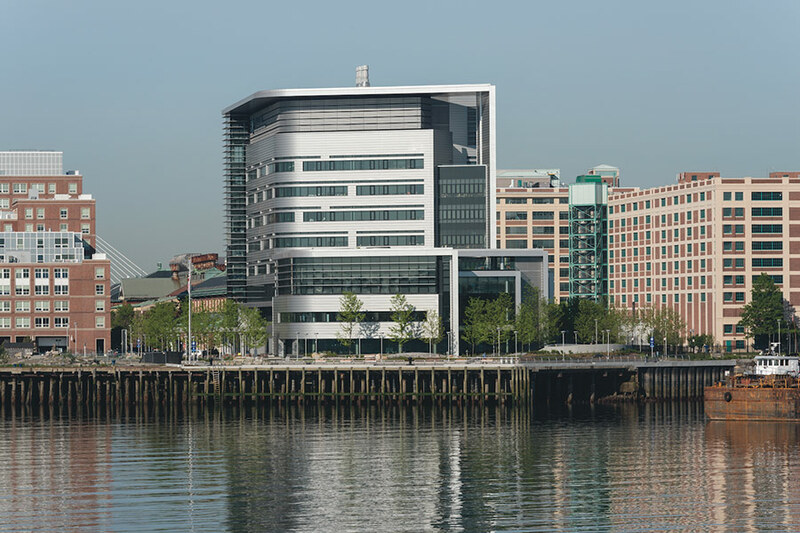 The Spaulding Rehabilitation Hospital project is designed for disaster resilience, which of course has been a hot topic at least since Hurricane Sandy. What’s missing from the ongoing discussion about disaster resilience in design? There are all kinds of wonderful initiatives to look at resilience; all kinds of interesting projects—mostly speculative—in New York as a result of it. But the general ideas of resilience are sensible, deep green ideas that have been the core of high-performance buildings. 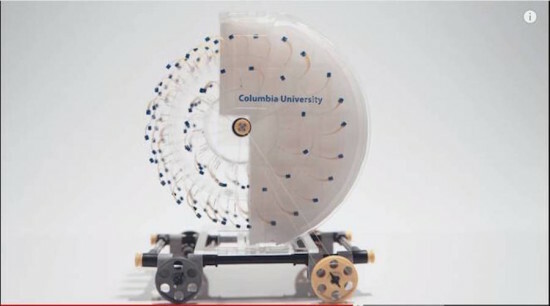 The ability to support life without electrical or mechanical systems connected to a grid, so all high-performance buildings have the ability to do that. To tap into freshwater on site, to open windows and get fresh air, the ability to withstand temperature changes and storms. It’s about the quality of the envelope, which is a sustainable design strategy. We’re focusing on the envelope itself so when power shuts down, people stay warm or cool, and the building’s able to resist wind. Flooding is relatively new. I guess we weren’t thinking about that so much 15 years ago. We knew that predictions for sea-level rise were one, two, three feet depending on the decade or the prediction. But it’s the combination of general sea-level rise and the increasing violence of storm surges, the increasing power of storms to release precipitation. There’s much more moisture in the storms that are coming at us, much higher velocity of wind driving much higher crests of wave. The impact you saw in Sandy and Katrina is quite profound. Some of your projects, like the Vale Living with Lakes Centre for Applied Research in Environmental Restoration and Sustainability in Sudbury, are designed to respond to a 2050 climate. There’s a lot of uncertainty about the specific impacts of a warming climate on that kind of timescale, so what do you consider in designing for 2050? That was a unique project to consider this issue. It was a few years ago when our knowledge of climate change impact was less sure than it is today. We selected a design year of 2050 where the nine major mathematical models of climate change all indicated impacts. For this particular area they indicated a temperature moderation in the wintertime of about 15 to 16°F and the need for cooling in the summertime of something like 8 or 9°F. These were dramatic numbers when we heard them. Just like storms and water, temperature-wise climate change has profound swings locally, particularly in more extreme climates. Moderate climate zones are less affected, and Sudbury’s far enough north that they’re seeing really dramatic temperature changes. We accepted the challenge, accepted the premise and designed mechanical systems that would withstand them. We proposed fire places that were wood pellet driven, which is a renewable source of energy and a waste product coming from saw mills in that part of the world. It was the first time we’d actually designed a mechanical system that anticipated climate change and would reach its optimal performance after the impacts of climate change had had an effect on the climate of the building itself. How do we apply those lessons today in our practice? We’re all that more adamant of the performance of the building to deal with warming. Better shading, better glass, better natural ventilation. We’re more adamant about shading coefficients because it’s only going to get worse. It might have a payback of 5 years or 10 years, but in 20 to 30 years when those envelopes are still sitting there it’s going to have an even more powerful effect. 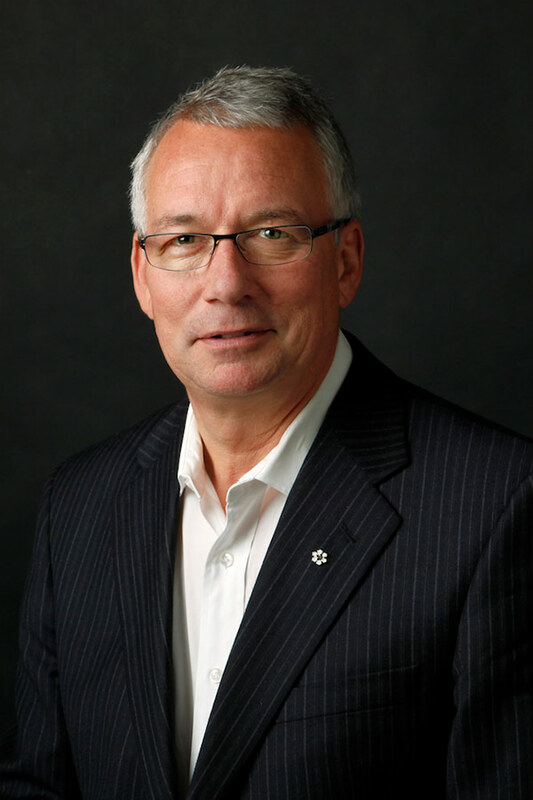 You were one of the founders of Canada’s Green Building Council. What do you make of some of the criticisms of LEED, like that it can legitimize unsustainable development and enable greenwashing? Is it a positive trend that municipalities are requiring LEED adherence for new construction, or is there a better way forward for sustainable design? I don’t want to put the wrong spin on this—USGBC and LEED have been extremely powerful at changing the marketplace. It’s exceptionally successful; it’s well known the world over. Notwithstanding that, it is subject to political and lobbying pressure. The flexibility of the system to grow and change over time is being slowly tested, as it now takes four years to bring out an upgraded version as opposed to the two-year cycle it used to be. The ability to get dramatic change is more limited than it used to be. We still don’t see anything like European standards where you have mandated maximums of so much energy per square meter. Where are those types of performance measures? Carbon emissions ultimately need to be the measuring stick for LEED performance. There are still lots of credits given out for less meaningful issues. Another problem with LEED is the cost. The cost of certification, of reviews, has not come down. In every other industry standard like this, over time the pioneers get through and it becomes mass levels of usage and the costs reduce significantly. LEED is still a cumbersome organization that requires a lot of intellectual effort and financial investment to gain certification. Those are my criticisms of LEED. Don’t misconstrue them—I’m a huge fan of the system. It’s not front and central in terms of what P+W is doing anymore. We take it as a given, it’s kind of like breathing. Recently we’ve been focusing on the Living Building Challenge and net-zero design. These are the challenges that are out there for progressive environmental design. Is performance the first order of design? Does form follow performance for you? I wouldn’t say that, but I would say that form has to be influenced by performance. Form is shaped by several things. If it were only shaped by environmental design, you might not end up with the right solutions. Architecture’s a very public art. Painters paint in the studio, carvers carve in their studio, dancers dance in their studio, but architects perform their art in public. So there’s a responsibility that goes with that to create beauty, elegance, and simplicity, to contribute to the urban condition. It’s a broad art. It’s interesting. We just finished our internal design review and I can say that there are no buildings in P+W at the moment that are not physically affected by environmental design criteria. Even five years ago we were still producing high-rise, glazed buildings in Riyadh with no solar protection and all four sides had floor-to-ceiling glass. It sounds ridiculous, but that’s what the client wanted and we gave them what they wanted. Well, guess what? You’ve got some other responsibilities as well. It’s not just about the client’s needs. 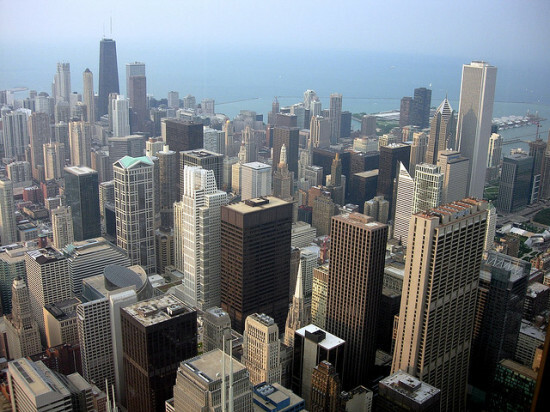 On July 23, Chicago City Council passed a Building Energy Use Benchmarking Ordinance, requiring non-industrial buildings larger than 50,000 square feet to report their energy usage. Less than one percent of Chicago’s buildings meet that threshold, but the 3,500 that do account for 22 percent of the city’s total energy use by buildings. If all municipal, commercial, and residential properties that large reduced their energy use by five percent, the city estimated it would save $40 million each year in energy costs, and reduce greenhouse gas emissions by an amount equivalent to removing 50,000 cars from the road. Buildings account for more than 40 percent of total U.S. energy consumption. Reporting and disclosure deadlines will phase-in over a four-year period, with residential buildings given an additional year to comply. The ordinance requires relevant buildings to track, verify, and report energy consumption using the Environmental Protection Agency’s free, online ENERGY STAR Portfolio Manager. After a one-year lead to allow buildings time for efficiency measures, the ordinance authorizes the city to share buildings’ energy use with the public. But the Building Owners and Managers Association (BOMA) of Chicago said no matter how it is phased in, public energy-use disclosure presents an unfair burden to some of the city’s landlords. Buildings larger than 50,000 square feet can be excused from the proposed ordinance if they are experiencing financial distress. The city’s chief sustainability coordinator, Karen Weigert, said that includes buildings occupied for less than half of the year, those in property tax arrearages, those controlled by a court appointed receiver, and those acquired by a deed in lieu of foreclosure. According to BOMA’s 2012 Economic Impact Study, Chicago already ranks first in square footage of LEED certified existing buildings and LEED certified new construction, and it ranks second in square footage of office buildings with Energy Star ratings across all U.S. cities. Eight U.S. cities and two states currently have some form of benchmarking and disclosure ordinance. Last year, Chicago announced plans to cut energy use by 20 percent in large non-residential buildings within five years.